Roses are red, violets are blue. Flowers and chocolates are great but can you think of something new? Gifts are a great way to express your love to a significant other, to a friend, to a family member, or basically to anyone special in your life—because we believe Valentine’s Day is not only reserved for romantic partners. But we digress. It could be something fancy like a weekend trip or three pairs of Air Jordan; or it could be something thoughtful yet affordable like sending a special love note via, say, LED screens at a mall. Possibilities are endless. Because Manila Standard LIFE loves you, we present a few gift suggestions that are way more original than a bouquet of flowers or a box of chocolates. You love her all made up and you love her when she goes out the house without putting anything on her face. 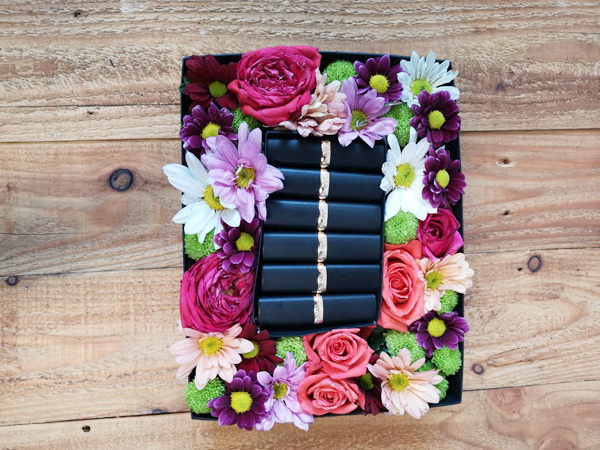 Show how much you support her quest to always put her best face forward by giving her personalized makeup bouquets. L’Oreal Paris offers limited edition personalized makeup bouquets, which come with its bestselling lipsticks and thoughtfully boxed blooms and chocolates. These special makeup bouquets will be available in select L’Oreal Paris makeup counters on Feb. 13-14. Prices start at P1,500. Several online stores are also selling a variety of makeup bouquets. Know the products and brands she love, and get them. Take your date to a free concert at the Bonifacio High Street Amphitheater on Feb. 16, and feel the love while listening to contemporary OPM hits. 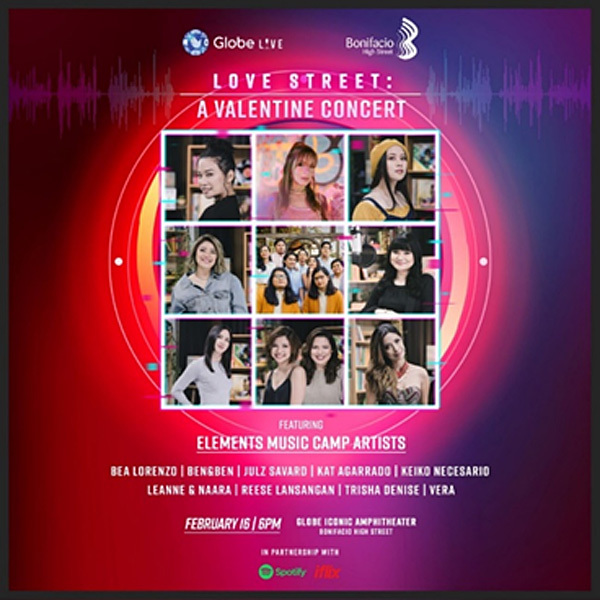 Concert starts at 6:00 p.m. Acts include the Elements Music Camp artists Ben & Ben, Leanne & Naara, Reese Lansangan, Kat Agarrado, and more. There will be 100 VIP front seats with meet and greet passes to be given away in exchange for single or accumulated purchase receipts worth P2,500 obtained from Feb. 1 to 16 at any Bonifacio High Street, One Parkade, and Two Parkade, Central Square (Marketplace by Rustan’s is not included), and One Bonifacio High Street establishment. No date? No problem! Who knows, you meet someone there. Give something that will remind your special someone that you always have time for them—no better way to do that than with a watch, right? The MoonSun Nato Collection from TechnoMarine is a hip line made for younger watch patrons. It features a quartz movement and a smooth 40mm stainless steel case with a flame fusion crystal. 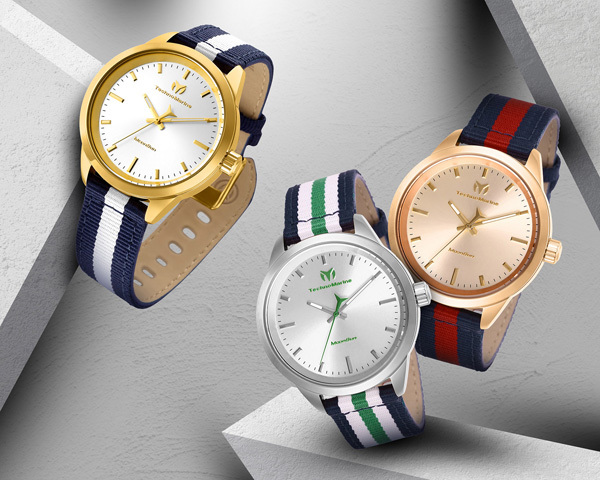 Designed to be a classic, the MoonSun Nato Collection has a vintage look that comes in yellow gold, silver, or rose gold tone dial and case, plus a range of preppy nylon straps for a casual but chic touch. Score this timepiece at TechnoMarine stores in Greenbelt 3, Robinsons Galleria, Robinsons Magnolia, Shangri-La Plaza, SM City Cebu, SM Lanang Premier Davao, SM Mall of Asia, SM Megamall, SM North Edsa, TriNoma, and Uptown Mall. Say your long overdue I l ove you’s to your loved ones by sending sweet digital love notes, and get a chance to win SM gift certificates. 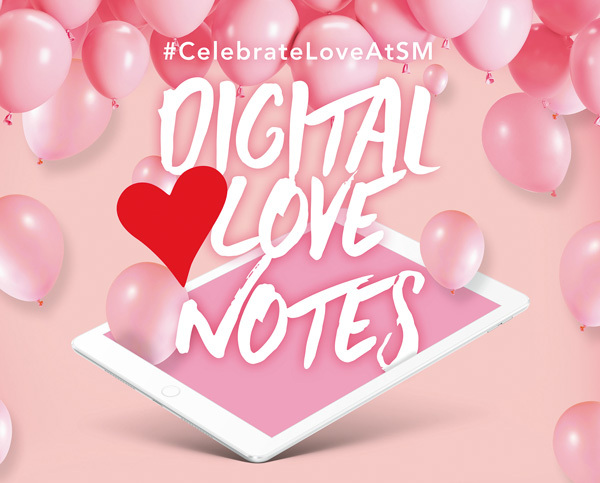 Simply write a love note and upload your photos through the #CelebrateLoveAtSM: Digital Love Notes booth in select SM malls or online via www.smsupermalls.com/CelebrateLoveAtSM. Selected love notes will be featured on LED screens in SM malls nationwide and at the SM Mall of Asia Globe. Now that’s how you send a love note. The love notes will be featured on LED screens until Feb. 14. Digital love notes will be posted online until Feb. 28.